When I had my first son, I lost count of how many times I said it. “I don’t know how I can love something so small so much,” I would say, as I gazed at his precious sleeping face. At seven pounds, four ounces, my son was one of the smallest things I’ve ever loved (followed closely by my second son). Sign in with style. If you have someone crafty in your circle of friends or family, ask them to try their hand at this creative sign-in idea. If not, Etsy has a variety of options to chose from that tie into the theme and create a unique take on signing in that can become a valued keepsake. 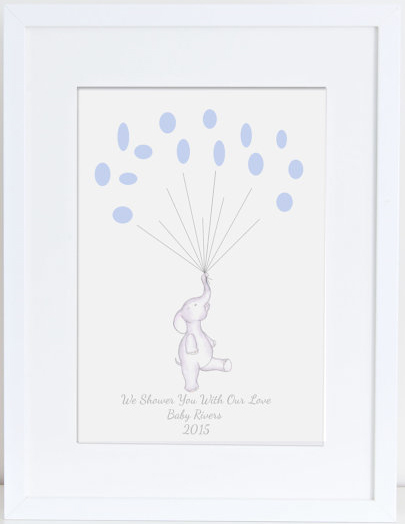 Have guests leave a thumbprint “balloon” as a memory they were in attendance on this special day. Working for peanuts. They’re an elephant’s favorite snack, right? Find ways to integrate peanuts into the décor and overall theme. 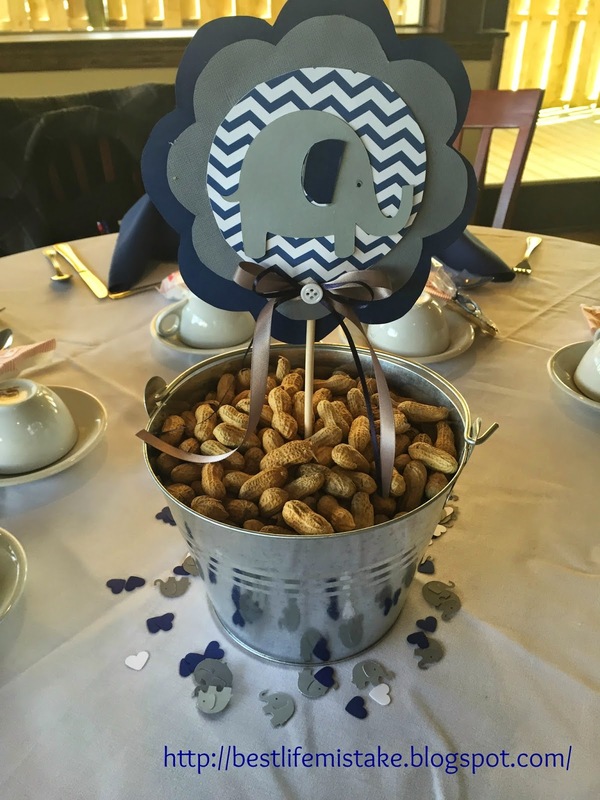 For an inexpensive shower favor, try putting peanuts in baggies with a decorative free printable tag as a thank you to guests. 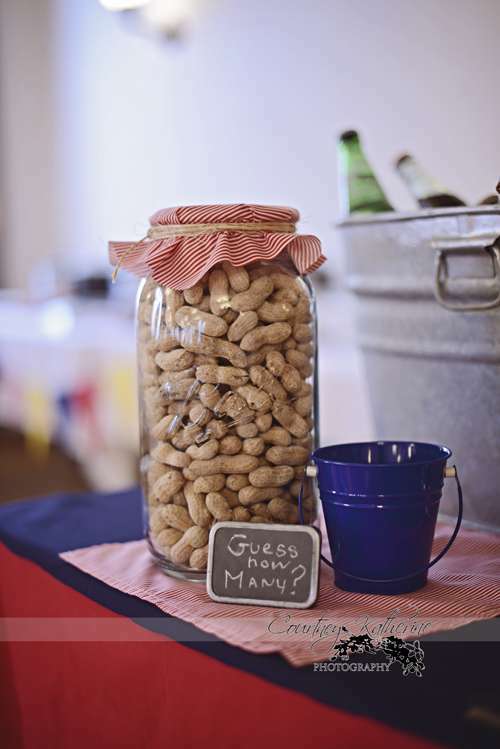 You may want to find other ways to integrate peanuts as well, perhaps into centerpieces or shower games. Remember the little touches. 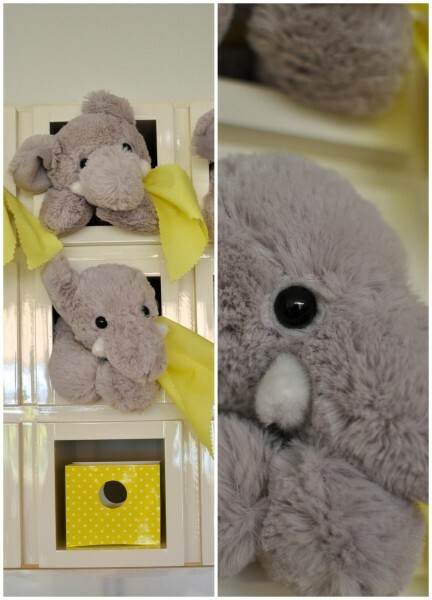 Find ways to incorporate elephants into every element of the shower by using a paper punch to make your own cutouts that can be used on napkin holders, as table décor, as food labels or any other way you see fit. Embrace a color theme. One of the best features of an elephant theme is the versatility it offers in terms of color scheme. Sure, you can go with the traditional blue or pink if the mom knows the gender of the baby (and wants it shared), but there are lots of fun gender neutral options, too, like grey and yellow. Think Cookie Cutter. When it comes to the food choices, yours can run the gamut from appetizer to a sit-down dinner. But if my two pregnancies taught me anything, it’s that you can never have enough options, especially when it comes to sweet and salty. You’ve already covered the salty in the peanuts (and whatever other savory snacks you’re serving up), so don’t forget dessert. In addition to décor on the cake, try using cookie cutters to make some sweet portable cookies guest can sample at the shower or take home to loved ones. For more design ideas and inspiration, head to Modernize.com.